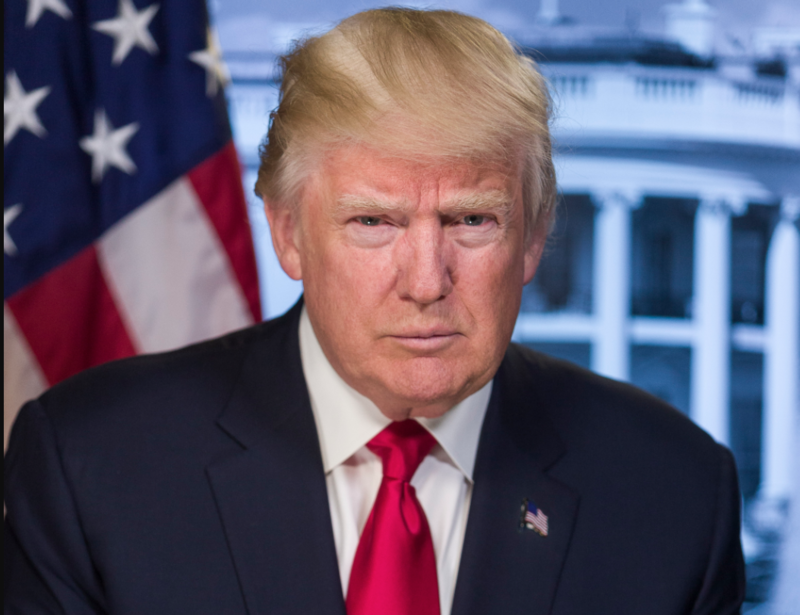 President Donald Trump’s first federal budget proposes deep cuts in discretionary spending to many departments that impact nonprofits while boosting financial support to defense, homeland security and veterans’ affairs. The budget unveiled today by the Office of Management and Budget proposes defunding 18 agencies, including the Corporation for National and Community Service, the Legal Services Corporation, National Endowment for the Humanities, National Endowment of the Arts, and the Corporation for Public Broadcasting. Most of the cuts had been expected in recent weeks. The Community Development Block Grants (CDBG) program, which provides funds to local food banks and Meals On Wheels, would be eliminated along with funding for Community Development Financial Institutions (CDFI). Trump’s so-called “America First Budget” would increase discretionary spending for defense by 10 percent, or $52 billion, for Homeland Security by 7 percent, or $2.8 billion, and for veterans’ affairs by 6 percent, or $4.4 billion. Fourteen other departments would see funding slashed by a combined 15 percent, or $58 billion. Defense had the largest allocation last year, at $522 billion, more than all the other 16 departments combined ($500 billion). Under the Trump budget, the department would get about $574 billion, compared with $449 billion for all other departments. In many cases, the document cites programs as duplicative, underperforming, or lacking evidence of success as reasons for elimination or reduction. In other cases, the blue print indicates oversight be given to states and localities. The CDBG program, for instance, is described as “not well-targeted to the poorest populations and has not demonstrated results.” In the case of CDFI, private institutions now have “ready access to capital needed to extend credit and provide financial services to underserved communities. “The administration’s opening budget proposal, while non-binding, is at odds with our recently-adopted Statement of Beliefs Regarding Federal Tax and Spending Policies,” Independent Sector President and CEO Daniel Cardinali said via a statement released this morning. “Using this framework as a lens to assess the administration’s budget, we find the deep cuts proposed to non-defense discretionary programs threaten the vitality of the charitable sector’s enduring partnership with the federal government,” he said. The blueprint “seeks to strengthen other administration priorities at the expense of agencies and programs that help communities address the needs of the diverse makeup of their constituencies — from celebrating cultural achievements to offering critical, life-sustaining support,” Cardinali said. There are few areas where nonprofits would not be impacted by the cuts. Funding for the Appalachian Regional Commission and the Delta Regional Authority, two agencies responsible for rural development, would be eliminated. Nonprofit leaders fear the cuts would severely hit rural areas but at the same time some were optimistic that bipartisan support in Congress for their work will continue. “The last thing our members need right now is more cuts to agencies and programs that provide incredibly important work, especially in the midst of the current farm crisis,” National Farmers Union President Roger Johnson said in a statement. Family farmers and ranchers are enduring the worst farm economy in well over a decade and an inadequate safety net that is hamstrung by $23 billion in budget cuts, he said. “These cuts and the message they send to rural America are deeply disappointing,” he said, pointing to cuts to the USDA and EPA that would put rural development, food safety, conservation and research programs on the chopping block along with environmental services and pesticide approval. In each of the past three years, strong bipartisan majorities in Congress have increased funding to Legal Services Corporation (LSC) by $10 million per year, according to President James Sandman. LSC, the largest funder of civil legal aid for low-income people, was created in 1974 during the Nixon administration. Sandman called it the “backbone” of the legal aid system and is particularly important in serving rural areas. Portland, Ore.-based Mercy Corps took issue with a proposed 30-percent cut in foreign assistance. Vice President of Global Engagement and Policy Andrea Koppel said the world is facing the greatest humanitarian crisis of our time, with 65 million people displaced and 20 million people at risk of starvation. “Now would be the absolute worst time to cut foreign aid,” she said, urging that Congress maintain current levels of foreign assistance as hunger crises worsen in African and the Middle East. “Without U.S. foreign assistance, grievances and weak governance will persist, enabling violent extremists and other armed groups to thrive,” Koppel said. “We can save taxpayer dollars by targeting foreign aid to reduce violence before crises escalate and the U.S. spends billions of dollars on costly and prolonged military and humanitarian interventions,” she said. In a statement, PBS President Paula Kerger said the cost of public broadcasting is $1.35 per citizen per year but the benefits are tangible, such as, increasing school readiness for kids ages 2 to 8, support for teachers and home school families, public safety communications and civil discourse. Joel Berg served in the Department of Agriculture (USDA) under President Bill Clinton and today is CEO of Hunger Free America. Less than $1 billion of the proposed $4.7 billion in cuts to USDA are specific, which means that more than three quarters of the cuts have yet to be identified. That could mean further cuts to areas such as food safety, water quality and 4-H youth groups. “Such cuts would inflict grave harm on all Americans, but particularly rural ones,” he said in a statement. If programs like the USDA Water and Wastewater Disposal Loan and Grant program are eliminated, as proposed, rural localities would be forced to pick up much or all of the tab, he said, likely increase local taxes.